For me, it all starts with a dream. Maybe I’ll see something in a magazine, on a blog, on Pinterest, or hear about it from a friend. Often it’s driven by my sports (climbing at Ten Sleep, Wyoming; or surfing the Lost Coast near Mendocino, California). Knowing where you want to go or narrowing down your main destination is important. There is so much to see and usually not enough time to do it all. My recommendation is to start small enough or close enough that you aren’t going to over-do or over-extend yourself. However, make sure there is some “wow” factor involved. If you play it too safe and don’t explore enough into nature, you won’t feel like the effort was worthwhile. You can’t go everywhere on one trip and there’s no perfect place so try not to put all your hopes, dreams, and expectations on your first road trip adventure. If you do it right, if you set yourself up to succeed, if you keep it manageable, it won’t be your last trip. Have fun researching and try not to get overwhelmed. I really encourage people to start a bucket list way before they are ready to start traveling so they can find their perfect destination. Once you’ve scoured the travel blogs and magazines and have taken notes on a few destinations that look fun, it’s time to do a little research to make sure you get the best experience out of your travels. It takes a lot of the fun out of traveling when you are constantly researching where to eat, sleep, and what to do each day, so try to have a list ahead of time that way you can spend your travels playing with your kids, talking to your significant other, or just daydreaming as you stare out the window at the beautiful planet we live on. My daughter calls me a mad scientist because I’ll make pages and pages of notes researching all the possibilities until I’ve narrowed it down to a concise plan on what I want to see, where we will play, and how long I need to fit it all in (there’s never enough time for that). When I plan a trip, I will plan the main destinations that we will go to about six to twelve months in advance, that way I can get the best deals on airfare or ensure I get the campgrounds I want. But once that is done, I do the day to day research in little chunks over the next few months. This part is definitely the most fun for me because it puts me in places twice (the first time when I research it and the second when I actually get there). But more importantly, it raises my excitement level for the destination and that in itself makes my experience richer. If you or your significant other (or even your children) have any hesitation or reluctance to visit a certain place, it’s really important to include them in the researching part. When we went to Europe, my daughter, Gabi, and I did all the research. Because of this, we were much more excited for each destination and got a little more out of the trip than the rest of the family. That’s not to say they didn’t enjoy it, but they weren’t saying, “Wow! I can’t believe I’m walking part “of the Road to Santiago in Asturias, Spain.” They didn’t have as much of a grasp of the significance of that trail nor know how much that part of Spain was known for it’s food and that its known as “the green coast”. Can you still have fun not knowing where you’re headed? Of course. But with knowledge comes power and in the case of our travels, that power is in the form of excitement and energy. If you love the outdoors like we do, check out The Outbound and Rough Guides for adventurous ideas to do along the way. Yes, research is important, but I will tell you one of my favorite days of our entire European road trip was the day we spent in Brugge, Belgium. Besides the fact that it is one of the most beautiful cities in the world, I did no research on it. I completely relinquished 100% of that to Gabi and she knocked it out of the park. For a control freak like me, it was so fun to be completely surprised by the architecture, the food, and the people of a new city. Now if we had just shown up and winged it, I still would have loved the city, but she made it special by taking us to what was voted the best chocolatier in Brugge, the best street waffles, the prettiest spots to take pictures, etc. I know the weather patterns seem to be all over the place these days, but if you can, try to time good weather. 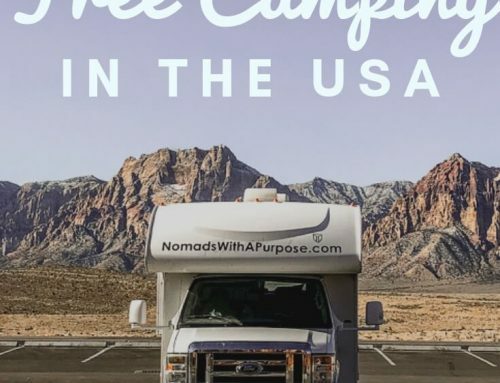 Trust me on this one, it’s not fun to drive a thousand miles (or fly across an entire ocean) and be stuck inside your tent or RV because of rain. Camping in a tent is also much more challenging if you have rain or really cold nights. Also, keep in mind that depending on how active you are wanting your trip to be will determine if you can tolerate more fluctuation in weather. National Park websites have a page about when to visit to get the best weather conditions (on nps.gov find the national park you want to visit then go to >>plan your visit>>basic information>>weather). I also check weather.com to see what the yearly averages are so I have a better idea of when I should go based on the temperatures I likes. Although with climate change be ready to expect the unexpected (seriously, we’ve actually noticed a difference in weather patterns when traveling the world)! Shoulder seasons can be a great time to travel but pay attention to tendencies. We hit Croatia in the shoulder season (September) and got great weather, but by the time we got to Spain in October it was much colder than we had hoped for. You might be surprised at how much of a difference ten degrees can make in your enjoyment of your trip. I seriously have a sick addiction for maps. I love inputting random destinations and seeing the various paths (roads) I can take to get there. 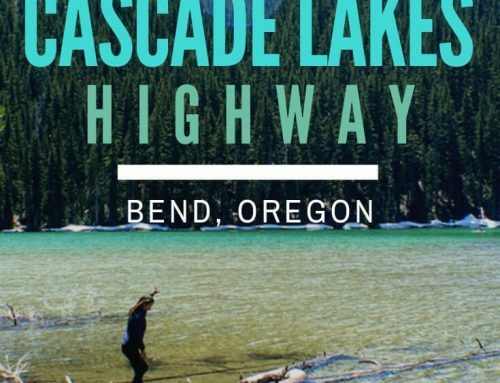 Most of our road trips start with me having one destination in mind and then playing on the map to see how many different possibilities I can come up with until I end up with a succinct plan that I am happy with. With your destination goal in mind, check out some atlases and guidebooks at the library and find out what’s on the way. Then use Google Maps to figure out the exact route, how many miles, and how many days you’ll need to fit everything in. Google Maps allows you to enter up to 10 destinations so pick your top 10 stops and see how many total miles your road trip is at. I use the rule of averaging approximately 100 miles per day with the exception of one long day of driving to get out of San Diego because everywhere I try to go requires at least 8 hours to get away from the hustle and bustle of SoCal. I always print out a blank calendar, then I open up Google maps again and start calculating miles between where I will be stopping. Try and incorporate some flexibility in the first two days if you are taking a long, boring route. The good thing with these types of highways is that there are usually a lot of places to sleep for the night and finding a campground at the last minute won’t be a problem. Anytime I can, I try to put the longest driving day at the end so that I don’t get extra tired going into my epic trip. Also, make sure you aren’t underestimating the driving time. If you are in an RV, account for 10-20% longer than Google maps says and time for fueling or pit stops. If it’s less than an hour of driving I don’t include it at this point and wait until I’m creating the detailed day itinerary (see step 7). In the U.S., and especially when we did our road trip through Europe, I had the best time in the small (those with populations under 30,000) to mid-size cities (those with populations under 80,000). I like that most of these small cities still have great food options and fun things to see and do, but they aren’t as overwhelming for me. It’s hard (often impossible) to drive an RV into a big city too, which makes going into big cities even more exhausting and expensive because we then have to factor in parking and using public transportation to get into the city. If you are spending time in cities, it’s helpful to check Trip Advisor ahead of time so you have an idea where you want to eat or any activities to budget for. A good way to predict what this amount will be for you is to look at Trip Advisor for the destinations you will be going to and look under the “Things To Do” section to see if there are “museums, amusement parks, or other attractions you want to prioritize seeing. We spend very little in the actual “Things To Do” category and try to sift through to find any free activities in these areas. This is where search engines can be very helpful. I Google things such as, “Free Family Activities in Leavenworth” or “Cheap Things To Do On a Rainy Day in Leavenworth”. Hiking is almost free and National Parks Passes are quite inexpensive. A lot of our fun budget is spent on food or in the clothes/equipment budget. One of the most “fun” things we’ve spent money on in our travels was jeeping in Ouray. It was a big deal for us to spend $250 on something, but it was worth every penny. In Costa Rica, we spent about the same to zip line through the canopy and it was also worth the money. Get your kids and spouse involved in the planning and decide as a family ahead of time where the best places are to allocate money to your fun budget. I find that doing this budgeting process with my kids is a great lesson in learning the “fun value” of money. We try to be as cheap as we can in some areas so we can splurge on things that will add value to our lives. Constantly sacrificing on expenditures will leave you feeling frustrated, but if you have a goal for the sacrifice, it makes it much more rewarding. This is not essential, but it can bring a lot of peace of mind. What amount you set aside for mishaps is up to you, and to be honest, I am not good at this, but I also realize it would have been really nice to have had on past trips to prevent a lot of stress between Victor and I. If I had set up a mishap fun, I would’ve budgeted for $500 to $1000 and then rolled it into the next trip if we didn’t use it. I’m going to pretend that I’ve learned from my mistakes and will set aside $500 for our mishap fund. If you are road tripping abroad, another option is to just get travel insurance which we’ve found is a pretty cheap option and covers most mishaps like injuries, sickness, stolen items, dental, lost baggage, adventure accidents, and more. Click here to see what’s covered with World Nomads travel insurance or get a quote for where you’re going. 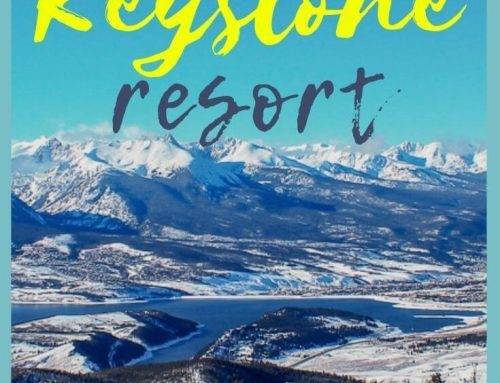 Once you have the driving days accounted for and have an idea of how many days you want to stay at each location, the next step should be to confirm that you can get reservations at the campgrounds you want. Many fill up six months in advance if you are going at popular times, like summer, or to popular places, like the coast. The majority of campgrounds in the US, especially state and national parks, can be found on reserveamerica.com or recreation.gov except California which has it’s own reservation system now on reservecalifornia.com. If you are going to a national park, check nps.gov under Plan your Visit>> Eating and Sleeping>> Camping to find campgrounds in the park. You can also use Google Maps and search “campgrounds” then zoom into the area you are looking for or use the Allstays app. A lot of National Parks have first come first serve campgrounds, which are very helpful if you didn’t plan ahead. Try to get to these campgrounds before 10 a.m. since they tend to fill up fast. Personally, I reserve the highest demand campsites first, or the ones I am most excited to visit, before filling in the gaps of campsites between my main destinations. I also alternate between paying for more and fewer amenities. For example, many campgrounds in the national parks don’t have hookups so it is helpful (not necessary) to find a campground with hook ups before or after. I also try to get a campground the first night we arrive somewhere that we will be staying at for a few days (especially if we just drove a lot) so that I have a chance to unwind and get settled. I find this helps me enjoy my experience of where we are going more. If you’re staying in Airbnb’s, reservations are usually much easier to find since there are so many Airbnb’s available. If you are traveling in peak season it will be a little harder to get reservations so try to book early on. If you are new to road trips or on a schedule, it’s much more important to have all your accommodation lined up so you can expend your energy in taking in experiences and getting as much adventure as possible into your life. To make this part of your trip go smoothly, it requires a bit of research ahead of time to make sure you are staying close to the activities you want to be doing and have a place you will feel comfortable at each night. As you start booking sites, you want to start putting in the actual miles and time for each drive along with it to help you gauge how much time you have at each spot. It won’t be fun to just be driving and sleeping. Make sure you leave time to enjoy your destination. Last, fill in exactly what you want to do each day whether it’s a cool hike, a paid excursion, a certain restaurant in the city. To save money, remember to pack items that are versatile, you can wear them many days in a row, and they are great quality, which means they last through all the abuse we put them through. If you will be doing a lot of hiking, make sure you have a good reusable water bottle, a sturdy, but light, backpack, and optional hiking sticks. Look for cities or attractions on the way to your favorite destinations (don’t forget the smaller cities). Get details from blogs and Trip Advisor so you know how much time you will need in each spot. This helps for executing step 6. 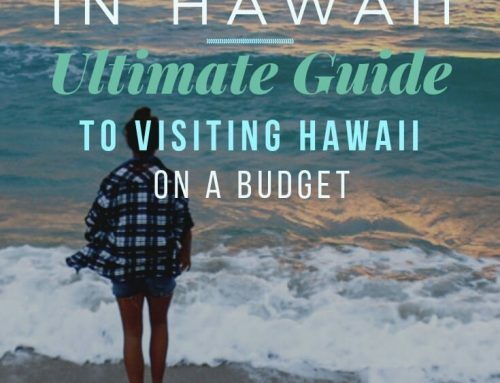 Budgeting how much your trip is going to cost and where you should spend your money. If you have questions about planning your road trip, let us know in the comments! 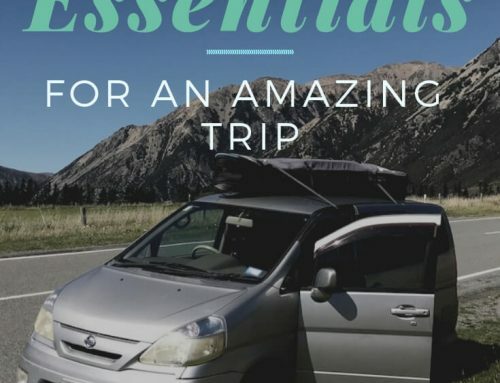 We love planning road trips and we’d be happy to help!